A business without a sign is a sign of no business! This is a photo of a recent job we installed in Hartswater, South Africa – yes, we can assist you anywhere in South Africa or the world! 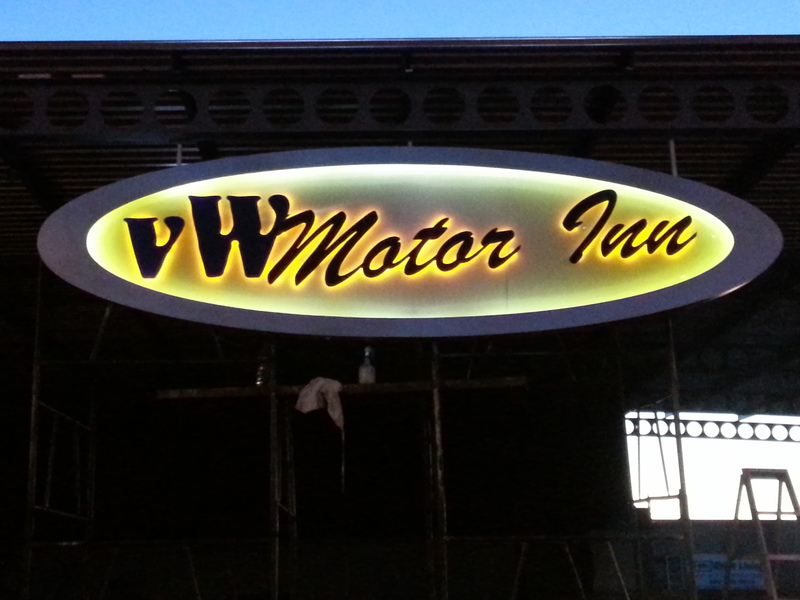 While we understand that not everyone wants their business sign and name up in lights, and sometimes there is no benefit to having your sign illuminate, there is NO DOUBT that the old adage ‘a business without an sign is a sign of no business’! Signs are in all likelihood your best marketing investment, because a well designed sign will require one payment and last for over five years, ensuring that your intended prospects know where you are and can easily find you. Your sign (whether on a shop front or a vehicle) also often gives the first, ‘irreplaceable’ impression of your business. If your sign is shabby, what are you telling your prospective clients about your business? A few years back a client asked us to REFURBISH their existing, tired sign so they could run a closing down campaign as the store was running at a loss and a new store would open in a nearby location about eight months later. The sign was broken and had birds living in it. The refurbished sign looked way better, and before the closing down campaign could run the store started to show a profit again – the ONLY change was the refurbished sign. Needless to say the staff all kept their jobs and the store only closed at the end of the eight months when the new store opened. 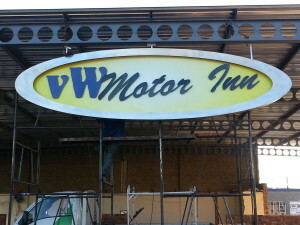 If you have not looked at your sign with a FRESH, CRITICAL eye in the last few days, give us a call (if you are in Johannesburg or Pretoria we do the check for free) so we can see your signs with fresh eyes to ensure that the message you are conveying is the message you WANT TO convey. SignForce is a full service sign supplier. We strive to take all the pain you may feel out of the sign purchasing process, with a team who can design, manufacture and install every sign – visible communication – you want or need.